Eight Wesleyan students participated in the CTW Undergraduate Symposium in the Arts and Humanities held at Trinity College in November. 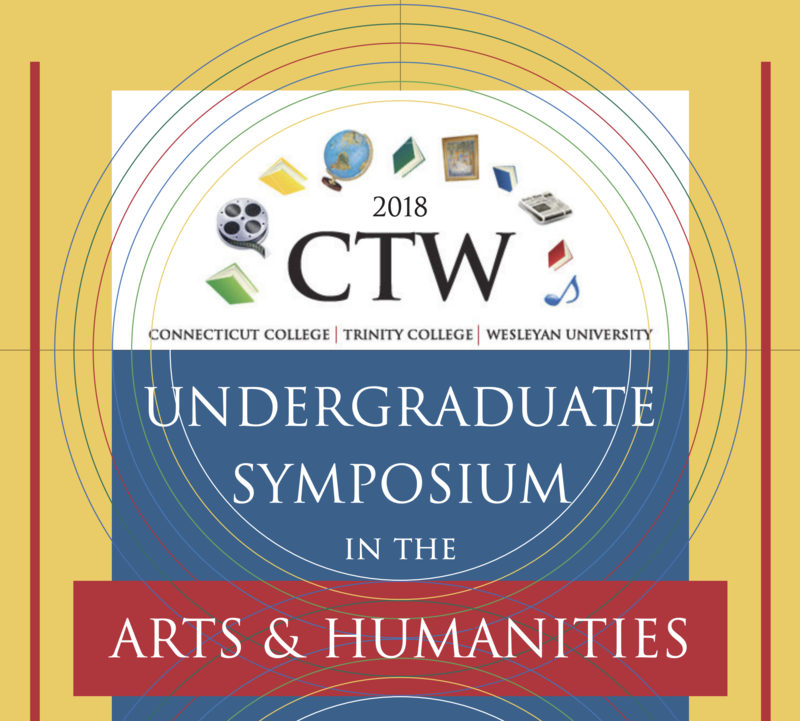 Eight Wesleyan students presented papers during the inaugural CTW (Connecticut College, Trinity College, Wesleyan University) Undergraduate Symposium in the Arts and Humanities on Nov. 10. This symposium, hosted at Trinity, provided undergraduate students from the three partner institutions, as well as other institutions in the region, an opportunity to present their original scholarly work in a professional setting. Topics included languages and literatures, philosophy, theater and dance, art history, women’s studies, cultural studies, ethnic studies, religious studies, film studies, and more. Paper submissions were accepted by a committee of faculty members. Aviv Rau ’19 presented his paper titled “Queering the ‘Quails’: The Making of White Womanhood at Wesleyan University 1872–1912” during a Considering Gender panel. Visiting international student Victoria Bianchi spoke on “Sicily and the Dar-al-Islam: Multiculturalism in the pre-Crusading Mediterranean,” during a panel on Culture, Identity, Nation, and State. Tomas Rogel ’19 presented a talk on “These Are Not People, These Are Animals: An Analysis of the American Perception of Salvadorans” during a panel focusing on Giving Voice to the Voiceless. Lizzie Whitney ’19 spoke on “Refugee Crisis in German Literature” during a panel on The Production of Culture across Borders. In addition to sharing their own work, the students had the opportunity to participate in 16 different panels and attend a keynote lecture by Maurice Samuels, the Betty Jane Anlyan Professor of French and Chair of the Department of French at Yale University. Support for this symposium was provided in part by a grant from The Andrew W. Mellon Foundation. Submission guidelines and further information are online here.